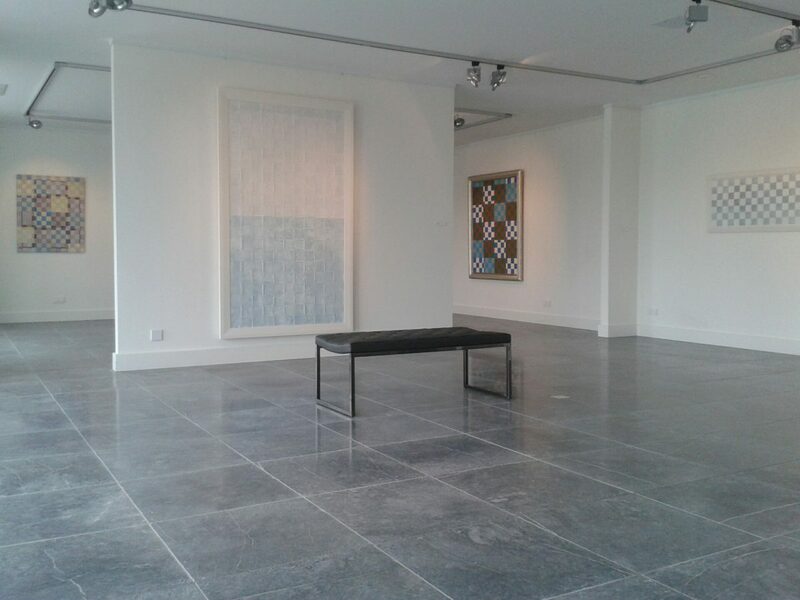 ‘Mixed Squares’ is the solo exhibition of new work by Alexx Meidam. 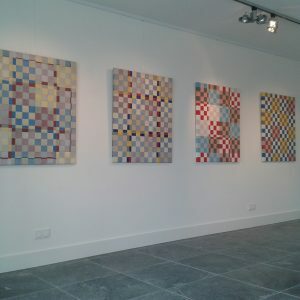 The exhibition will focus on his latest series Mixed Squares. Instead of an isolated overview, the series is shown alongside older works of the artist. 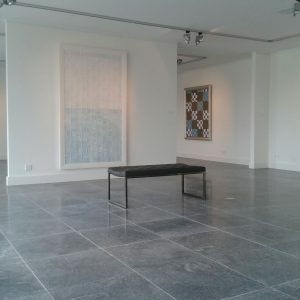 The exhibition reveals insights in Meidams artistic reflections, how new ideas unfolded and new works found their form. Although Meidams work is not medium specific, there is a special dedication to painting in his rich oeuvre. 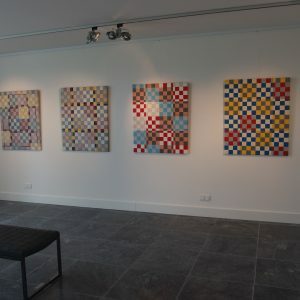 His geometric abstract works are studies to formal properties — such as space, color and composition — that in the right balance can evoke a certain uniquely aesthetic emotion. His artistic research eventually lead to the series Mixed Squares in which Meidam paints two canvases that he cuts and then weaves together. The canvases are literally mixed, creating a new pattern of squares and rectangles. The exhibition is curated in close collaboration with Alexx Meidam and presents works that made an important contribution in the development of this series. It does not claim that there has been an outcome; it rather intuitively brings together a variety of studies, which have been playing a vital role in the artist’s oeuvre.The exhibition begins with work from the nineties. Red Square (1995) shows a square painted on glass, which is jammed by a blue rectangle. It is a pure pictorial study about the visual perception of color and light. The paint will not be sucked into the surface (as is done with paint on canvas); Meidams aim is to create a direct experience of the color. 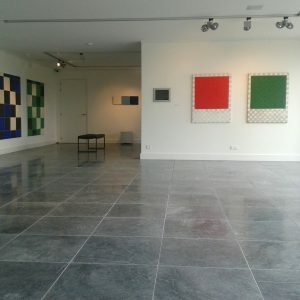 In the series Color Field (2011) colored planes remain a central theme, but are extended to color fields in which patterns begin to emerge. The compositions evolve further as the canvases are actually cut. Although a systematic methodology remains, there is also an undeniable role for ‘chance’. The complexity of the interplay of horizontal and vertical lines is increasing, as well as the confrontation between conflicting and harmonious color planes. 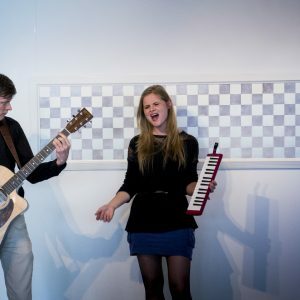 Gradually the perception gets manipulated and during the contemplation of the work one is confronted with a dizzying dynamics.PublicatiONTo accompany the exhibition, Bergarde Galleries released a publication with the same title. This richly illustrated publication includes texts by Ank Leeuw Marcar, Piet Molendijk and Robbert Welagen and provides both art historical and philosophical insights into the work of Alexx Meidam.Alexx Meidam (Delfzijl, 1954) lives and works in Rotterdam. After completing his studie at the Willem de Kooning Academy Meidam worked as an artist, curator and performer. His work was exhibited at the Goethe-Institut (Rotterdam), the Stedelijk Museum Schiedam (Schiedam) and 75+ NAP (Moscow).